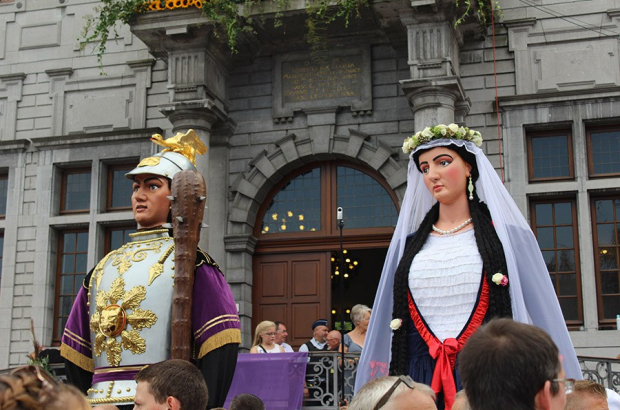 Folkloric giants, made of papier maché, cloth and wicker come to life in a magical way when they dance in the streets during folkloric festivals and parades. They are part of the folklore of 75 countries but in no country does the importance of giants come close to the place they have in Belgium. Jean-Paul Heerbrant of the Albert Marinus Center tells us what he thinks is the reason for the proliferation of giants in Belgium and also tells us about the giant housing crisis in Brussels which is putting a number of the giants in peril. Phil van Duynen, artist, talks about the magic of the giants. See the show as part of the Carolus Festival until 2 September. Ohh wow these giants are one hell of a things. I have never seen them this big. Thank you for sharing the schedule. I will put it up on bestessay. I couldn't afford to miss this show and so as my followers.